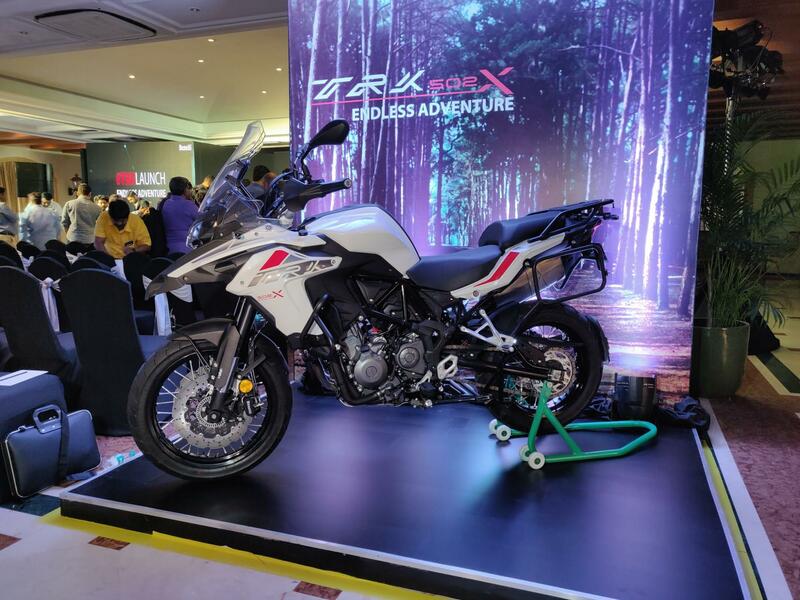 It’s been a month since Benelli India announced the launch of its new middleweight adventure-tourer motorcycles, the TRK 502 and TRK 502X. Launched at competitive prices of INR 5 lakh for the TRK 502 and INR 5.40 lakh for the TRK 502X, the bikes have received 150 bookings already. The prices mentioned above are valid for online bookings only. The ex-showroom tag would receive a revision once Benelli India starts the dealership level bookings. Benelli India has received 150 bookings for the TRK 502 and TRK 502X since its launch in India on February 18. 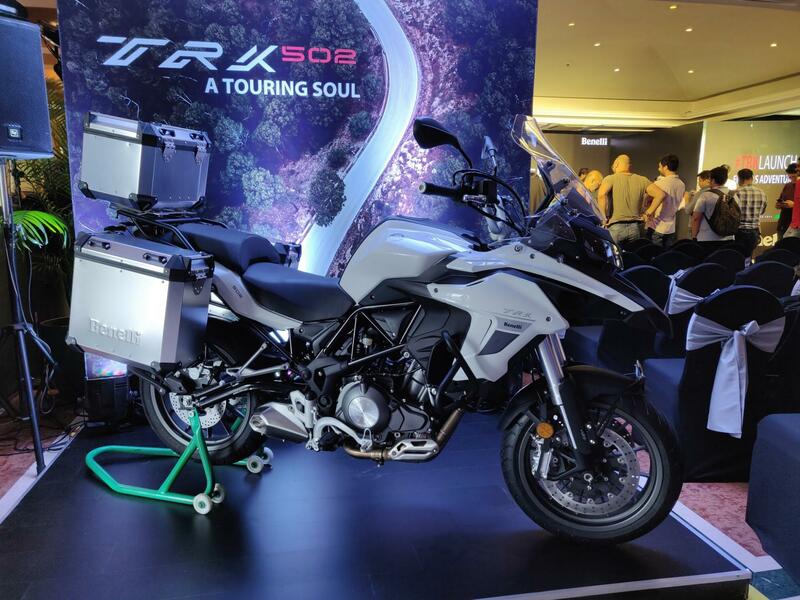 The TRK 502 and TRK 502X were launched in India at INR 5 lakh and INR 5.40 lakh (ex-showroom) respectively. The online bookings commenced on February 18, and potential buyers could reserve a motorcycle between the two for a token amount of INR 10,000. Online reservations get the customers a voucher worth INR 10,000 that can be used to purchase apparels and accessories at the time of delivery. There is no direct threat to the Benelli TRK 502 and the TRK 502X and their closest rivals – the Kawasaki Versys 650 and Suzuki V-Strom 650 – participate in a relatively premium price bracket. To recap, the Benelli TRK 502 is the road-biased model. Thus, it uses 17-inch alloy wheels on both ends that are shod with 120/70 front and 160/60 rear tubeless Pirelli tyres. The Benelli TRK 502X, on the other hand, is designed to take the beaten path and comes equipped with 19-inch front and 17-inch rear wire-spoke wheels, wrapped in knobby 110/80-section front and 150/70-section rear Metzeler tyres. Both motorcycles are powered by a 499.5cc, parallel-twin, DOHC, liquid-cooled, 8-valve engine that delivers 47 bhp of max power at 8,500 rpm and 46 Nm of peak torque at 6,000 rpm. The motor comes paid to a six-speed gearbox. Anchoring tasks are performed by twin 320 mm discs at the front and a single 260 mm disc at the rear. The safety net of switchable dual-channel ABS comes as standard. Shock absorption tasks are performed by 50mm upside-down front forks and a vertically-mounted mono-shock at the back. The Benelli TRK 502 is the road-biased model and thus features alloy wheels. The Benelli TRK 502X is an off-road focused motorcycle and comes equipped with wire-spoke wheels. In other updates, Dante Bustos, Chief Marketing Officer, Benelli Global said that the TRK range would compete in the higher displacement segment with 750 cc variants. The bigger TRK models could be christened TRK 751 and TRK 751X. The bigger TRK bike would most likely share its engine with the upcoming Leoncino 800.